Let me just say that I was one of the extremely fortunate ones, merely inconvenienced by hurricane Sandy. After just one night at home without power, and four nights at a lovely apartment in Cobble Hill, Brooklyn (thank you Abby, Majken & Lauren! ), I got power back and made it back home over the weekend. The two hour commutes by $50 cab into the office last week weren’t exactly a treat, and getting home was even more of an ordeal, but overall I weathered the storm better than most. Hauling all of your belongings daily over the Brooklyn Bridge does make you long for a certain je ne sais quoi… oh wait, je sais: macaroni & cheese. 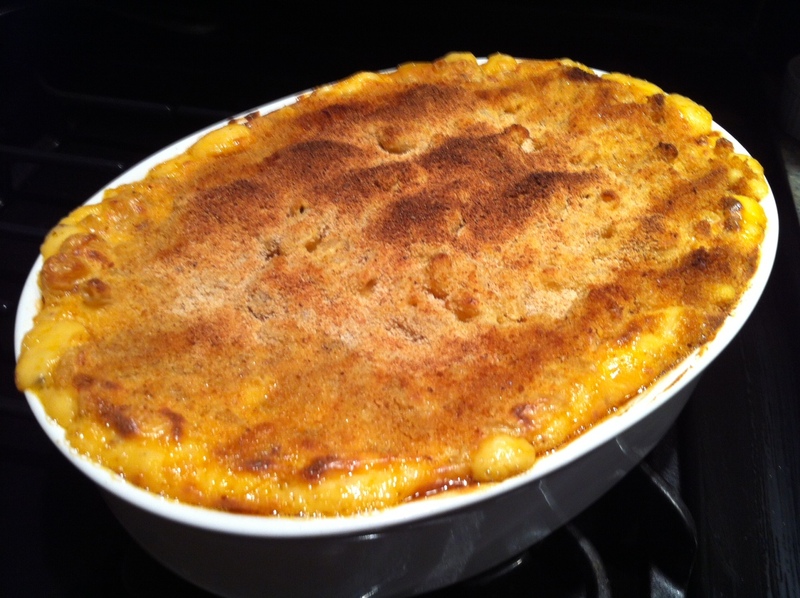 And not just any macaroni & cheese, I ate quite a lot of Annie’s & Kraft during the Sandy lockdown, but now I was craving the real deal, bechamel, breadcrumbs… and spice. I had always dreamed of combining two of my very favorite food items, mac & chipotle and chipotle mayo, but for some reason it always seemed a bit too excessive. 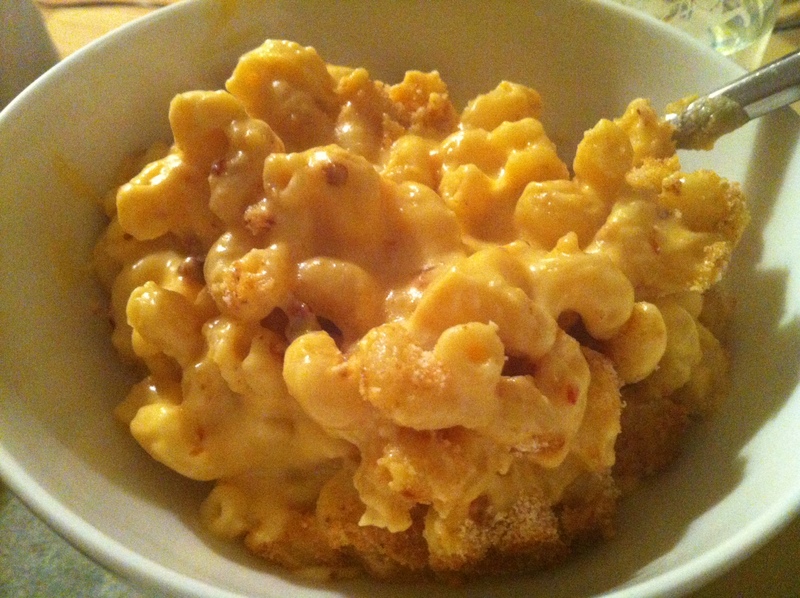 The solution: smoky chipotle cheddar mac & cheese sans mayo — pure heaven. We already have a couple mac recipes up here now… but to be fair, they are QUITE different. We’ve got the Classic Macaroni & Cheese, and a Greek Mac with spinach and feta. Both definitely worth making. Preheat your oven to 375, and get a large pot of salted water on the stove for the pasta. Heat up the half and half on the stove until it just barely starts to simmer but doesn’t boil. In a large sauce pan, over medium-low heat, warm up the oil and melt the butter. Add the flour, and whisk for about 2 minutes so it cooks a bit. Slowly, add the hot half and half to the butter/oil/flour mixture, whisking until smooth, allow this to cook over medium heat until it has thickened. Off the heat, add the salt, and slowly stir in the grated cheddar until it is melted and smooth. Mix in the chipotles — the cheesy sauce should be a lovely orange color. Cook the pasta for 2-3 minutes less than the package suggests — I cooked my cavatappi for 8 minutes. 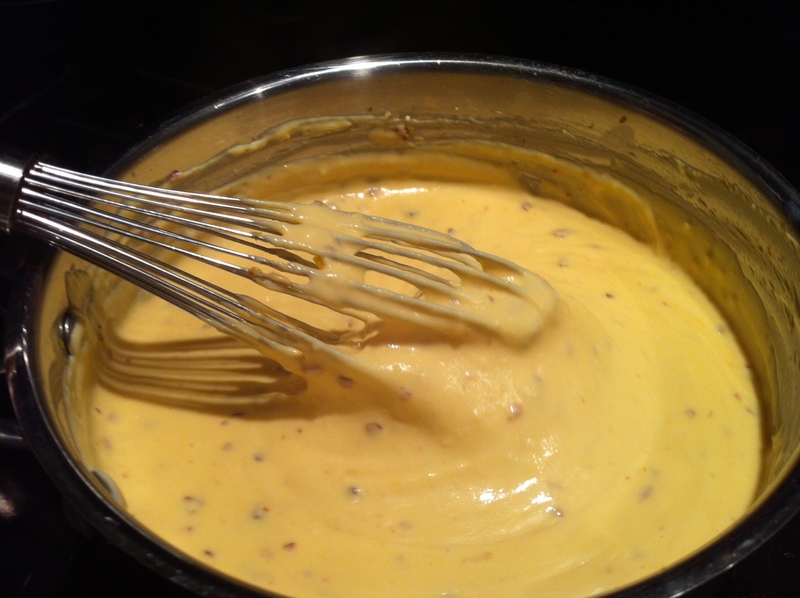 Drain the pasta and add to the cheese sauce mixture, stir well. Pour the cheesy pasta into a 3-quart baking dish, top with breadcrumbs (why not! ), and pop into the oven. Bake for about 25 minutes or until bubbly and golden. I turned on the broiler for a couple of minutes at the end so the top got really crisp. Let the mac cool for a few minutes (the roof of your mouth will thank you later), then serve and devour. Holy smokes, what a spicy and cheesy treat. This MAY be the best mac & cheese I’ve ever made… or at least the best chipotle cheddar mac ever. I’d HIGHLY recommend. This entry was posted in Cheddar, Comfort Food and tagged butter, cheddar, chipotle, comfort food, dinner, mac & cheese, pasta. Bookmark the permalink.